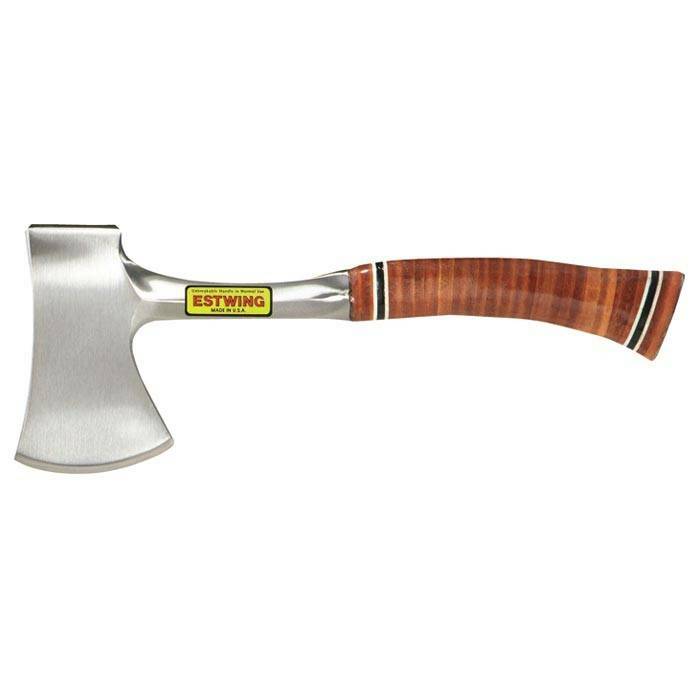 Home / Sportsman Axe, 12"
World famous Sportsman's Axes are the choice of outdoorsmen everywhere. This axe is forged in one piece with a genuine leather grip this heirloom tool is designed to last a lifetime and then some! Made from quality American steel and forged right here in the U.S.A, the head and handle are one solid piece for the ultimate in durability, with quality you can feel! The compact size is prefect for an overnight trip or unplanned night in the woods. A must for all backcountry operators. Includes a nylon sheath.